Internet Access: Although you can broadcast with a 56k internet connection, a DSL or Cable connection to the internet is recommended for optimal performance. If you already have the above requirements, please continue in your reading. If you do not have the above requirements, you may read on but you may experience problems other than those addressed in this tutorial. Let's begin. 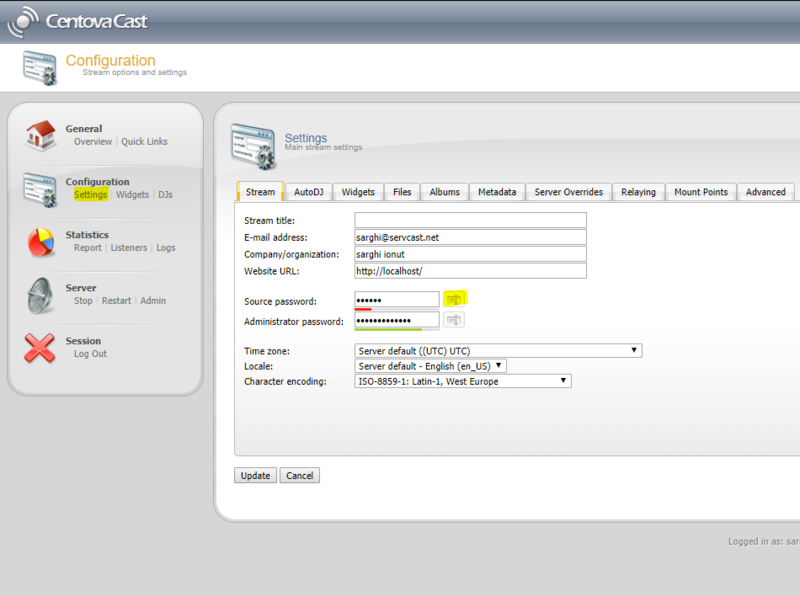 Log in to your Primcast account and you will be automatically redirected to the Dashboard page (Control panel). 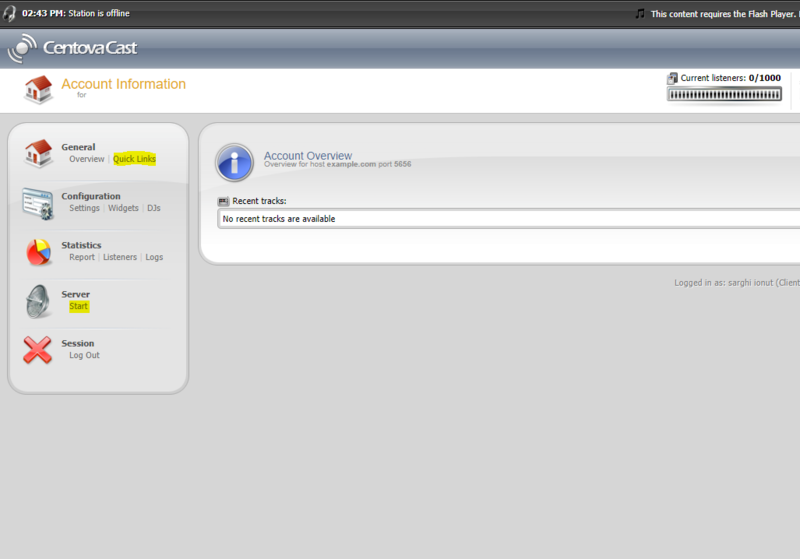 There you should have a "Login to Centova" button which will redirect you to the actual SHOUTcast station panel. Now that you are in the Centova Panel, click on the Start button from the menu to power on your SHOUTcast station then click on Quick Links so you can get the station informations. 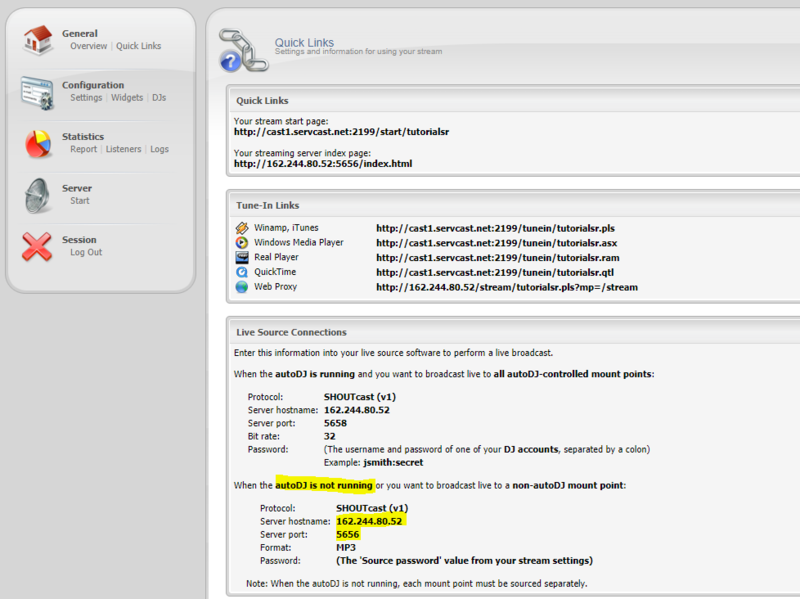 On the Quick Links page scroll down to the Live Source Connections category and get the Server Hostname and Server Port. You will need these later when you setup your Winamp encoder. 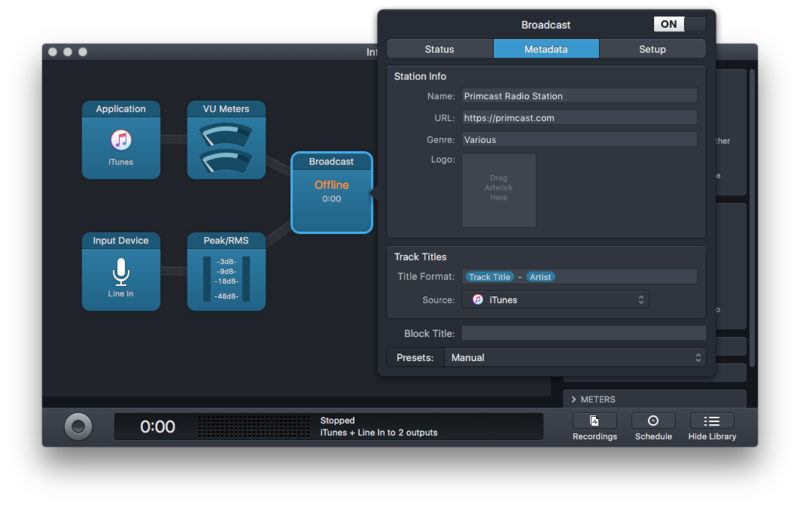 You are now ready to setup the Audio Hijack software to broadcast to your Primcast streaming audio server. Run Audio Hijack that you downloaded from Step 1. Click on the "New Session" button in the bottom left corner to create a new streaming session. 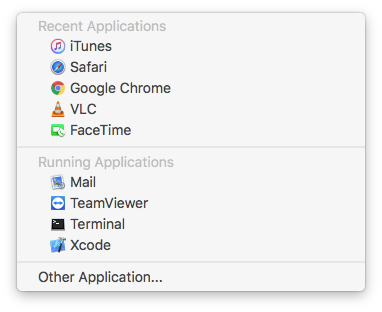 A new window will pop-up with multiple options. 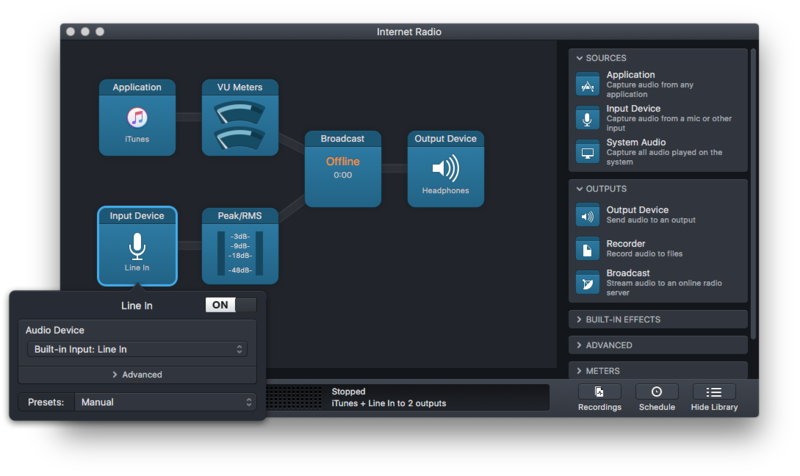 What we are interested in is the "Internet Radio" which you will need to select and press "Choose". 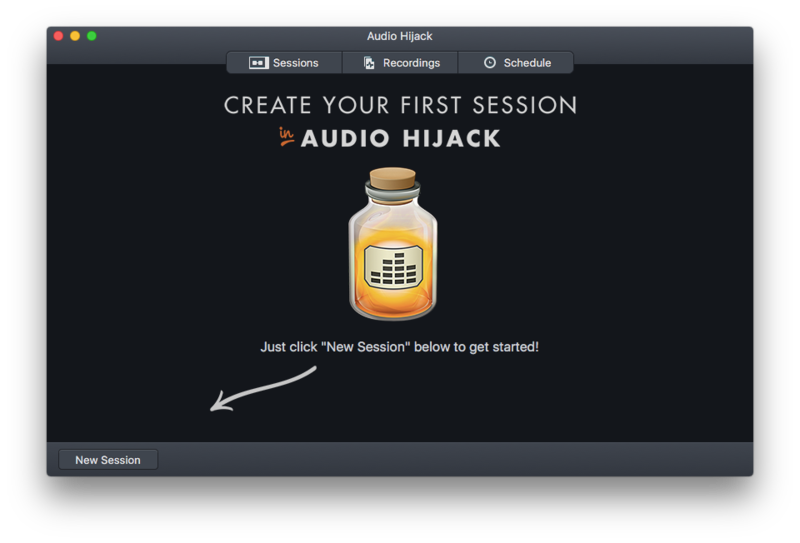 Audio Hijack can work with most audio applications on Mac OS X including iTunes, Chrome, Safari etc. 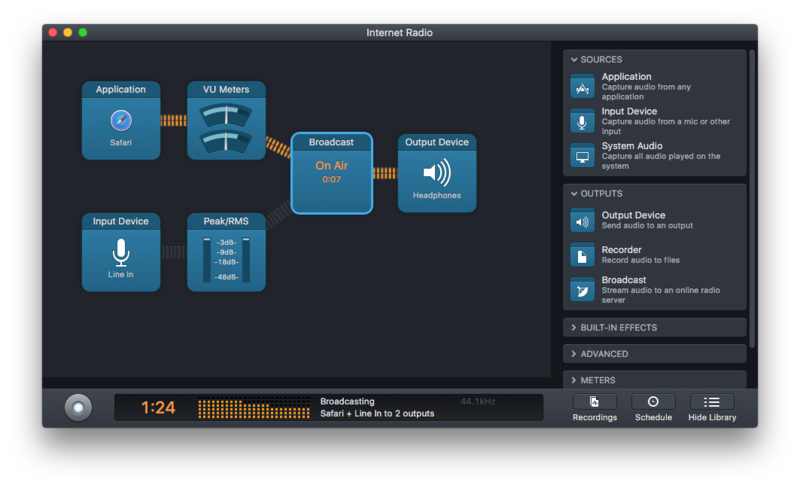 The Plug-In architecture supports sophisticated functionality including live voice-over. Because Audio Hijack supports Icecast protocols for webcasting, it is compatible with Darwin/QuickTime Streaming Server and also with SHOUTcast servers. 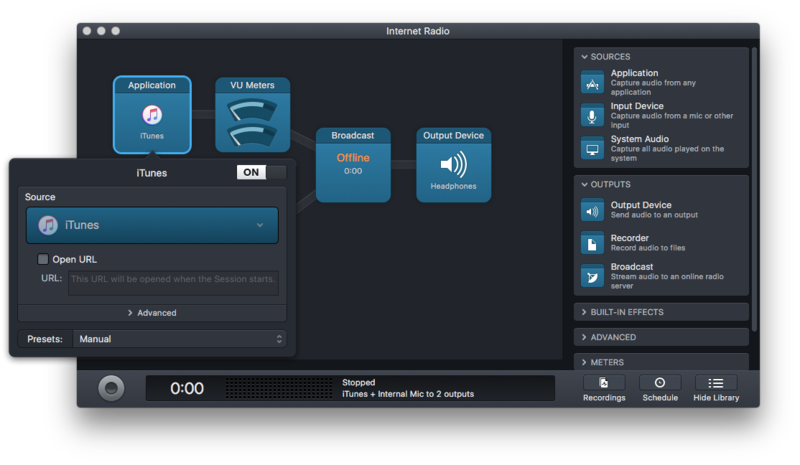 Select the desired application that you want Audio Hijack to pick the sound from and send to the SHOUTcast station. Select the device connected to your Mac machine that you want to use for Voice Over as "Input Device". 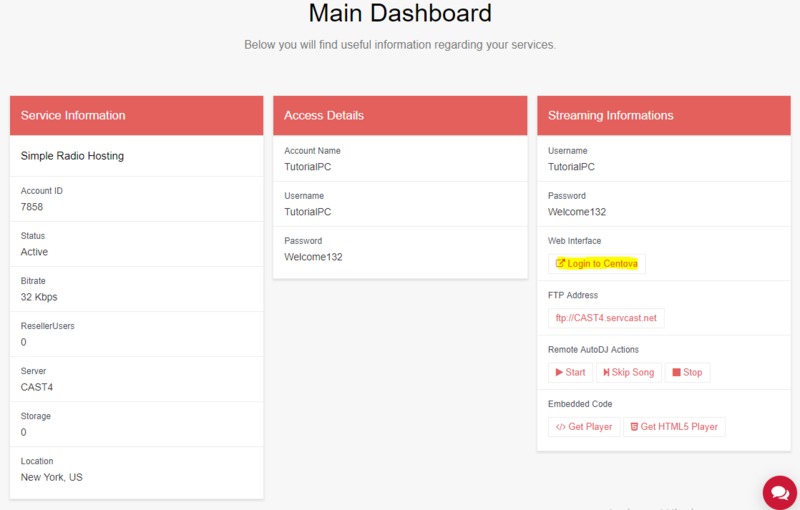 We are going to setup the server details to broadcast to your Primcast streaming audio server. Click on the "Broadcast" box, select the Metadata Tab and input your station details. Select the Setup tab and make sure you complete all the requested fields, except the User one that you have to leave it blank. Also from this window select the Codec MP3 and the Audio Bitrate of your choice. Click on the circle button in the bottom right corner to start broadcasting. 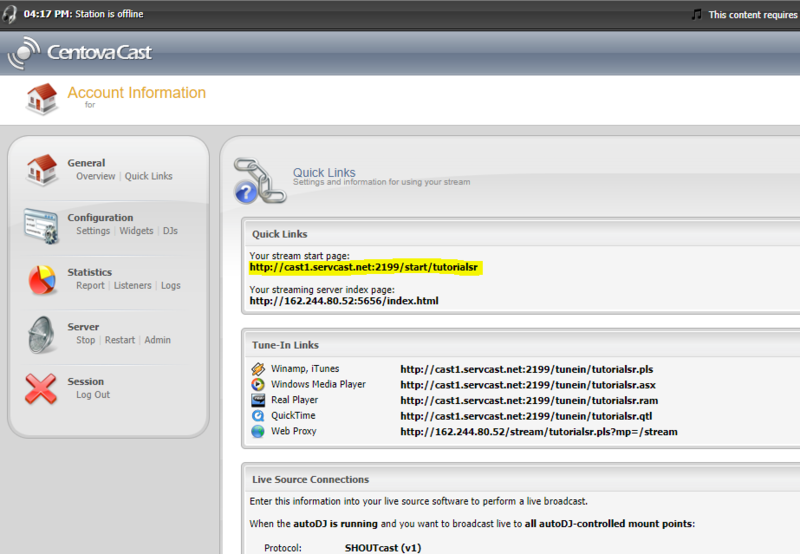 Go back to your Centova Panel, access the Quick Links tab and listen the audio stream from Your stream start page. 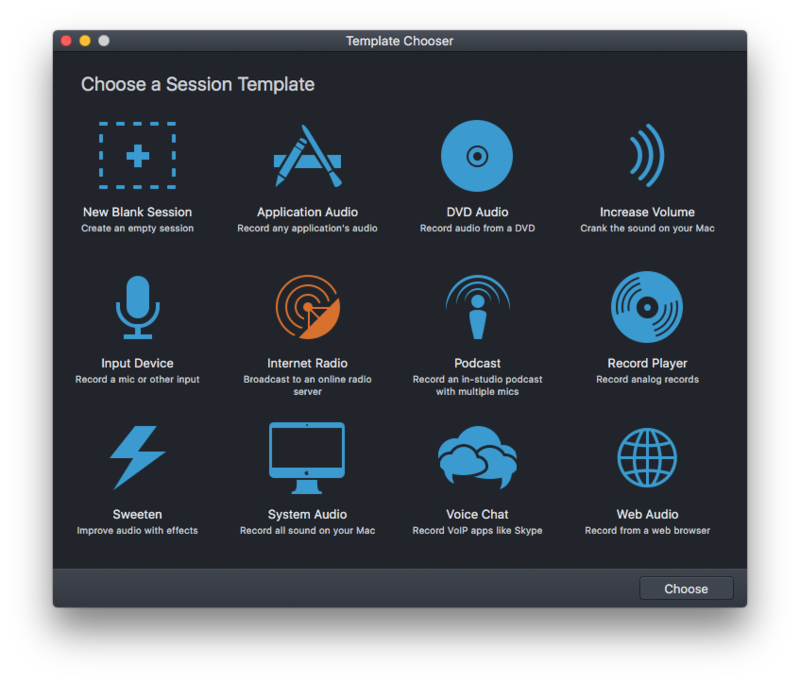 You are now ready to connect to your streaming audio server and test your broadcasting skills.